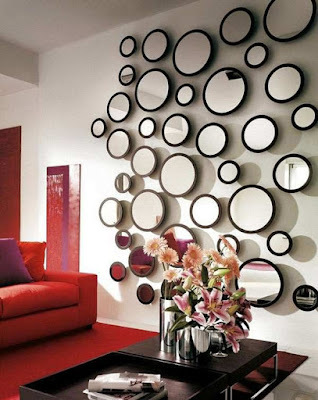 Modern designers often use mirror surfaces. 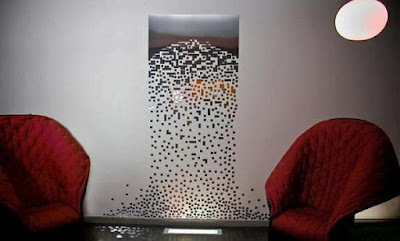 And, sometimes this is the most unexpected decision. 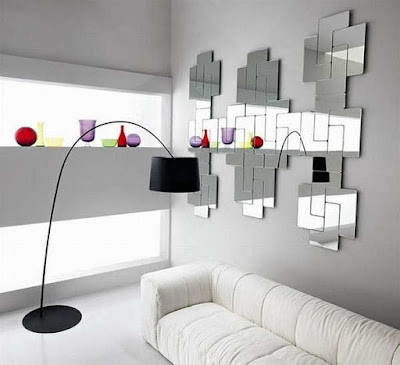 Mirror panels on the wall are made not only from a natural mirror, which is quite difficult to process. Now there are a lot of substitutes, for example, mirror wallpaper, film, wall tiles, "pseudo-mirrors" made of polycarbonate. 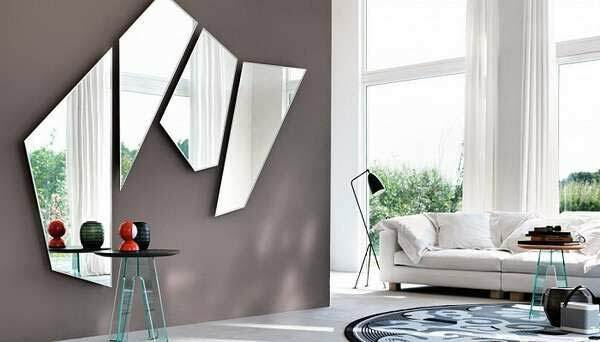 Their effectiveness, they are almost inferior, but they give the opportunity to construct a mirror panel on the wall (photo below) of the most extraordinary form. 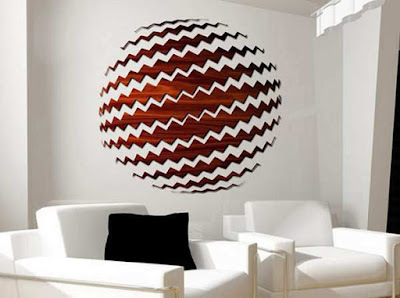 For centuries, wood has been a raw material for the manufacture of many household items, ornaments. 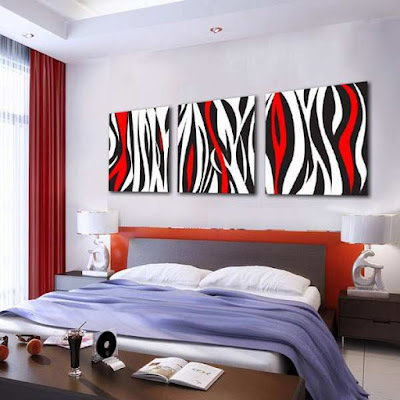 It is easily accessible material, while easy to process, durable. 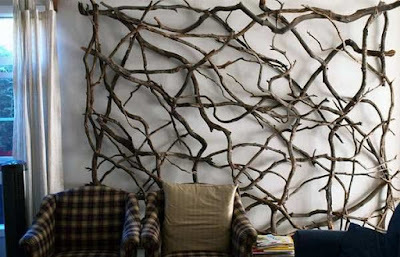 Decorative art wall panels of wood on the wall can be done using any part of it. 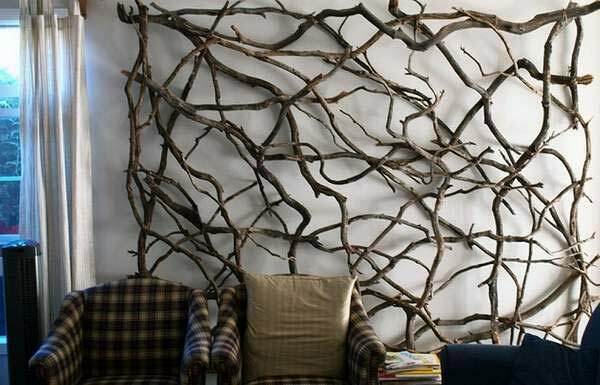 The photos show us the original works from dry branches, the decoration of a large wall with "pentacles" cut across the trunk, and the presence, as a wall decoration, of virtually a whole array. 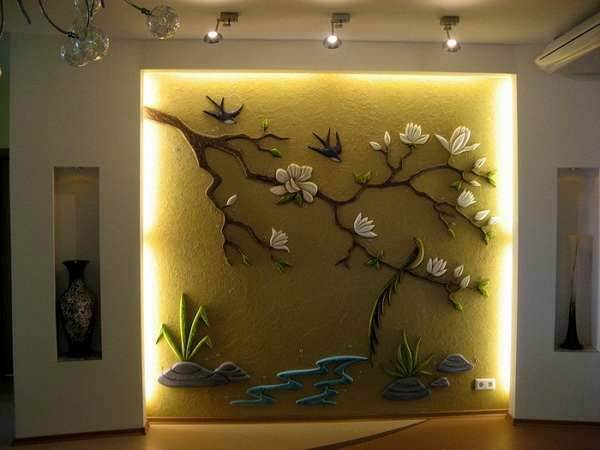 A panel of wood on the wall must necessarily be processed, so as not to wind up various bugs, and also did not affect the material dampness, temperature changes. 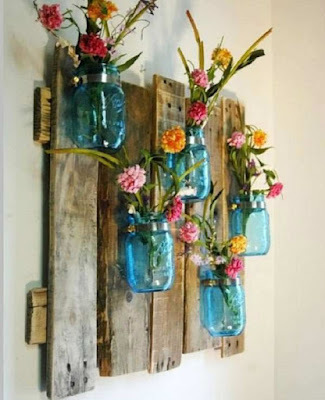 Fill the interior with wonderful highlights, bright accent points will help various elements of glass decor. 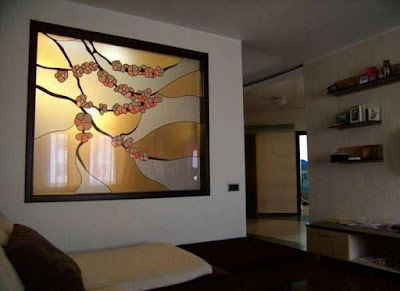 If the house is a fumbling photo frame - it will create a glass art wall panels. You can apply a drawing to the outside of the surface, then open it with a varnish, or paste a pattern from the wrong side, setting it in a frame. 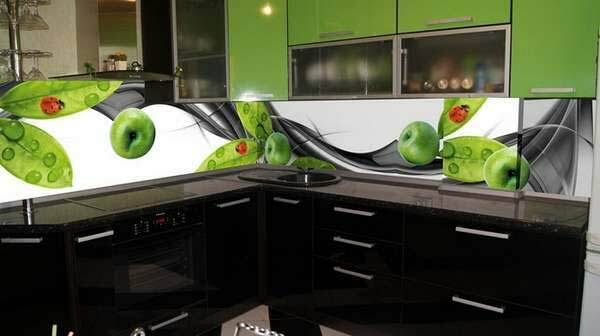 It is very good to decorate the working surface of the kitchen. By the way, such processing of an apron in a glass is called "skinned". Frequent drawings on the - vegetables, fruits, landscapes, photos of megacities. To create a spectacular light panel on the wall will help LED garland. 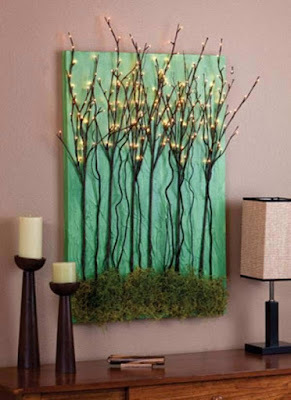 The main materials of the canvas are cardboard or canvas. 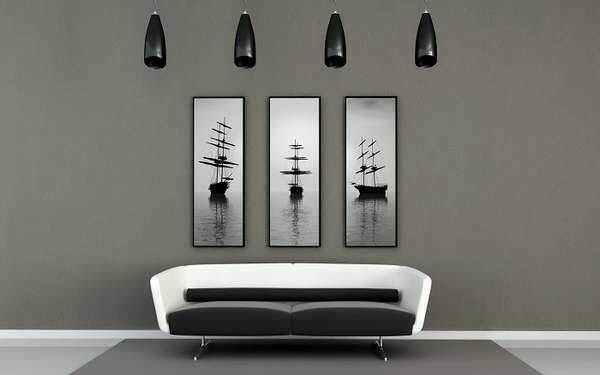 Apply any picture you like (there are special stencils on sale). 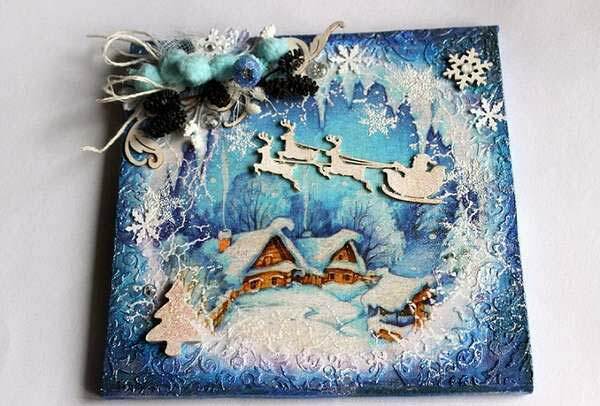 Gently, using a clerical knife, cut out. Then the canvas is attached to the frame, and a garland is put on the back part, which is also covered with plywood or thick cardboard, pulling out the power cord. 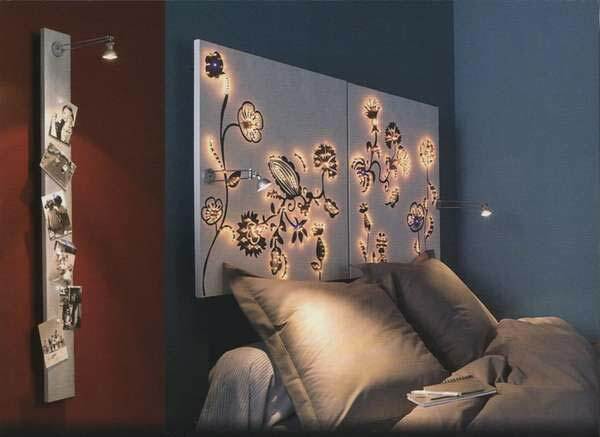 Light panel on the wall will serve as an original night lamp in the evening, and in the daytime - no less beautiful art-decor. 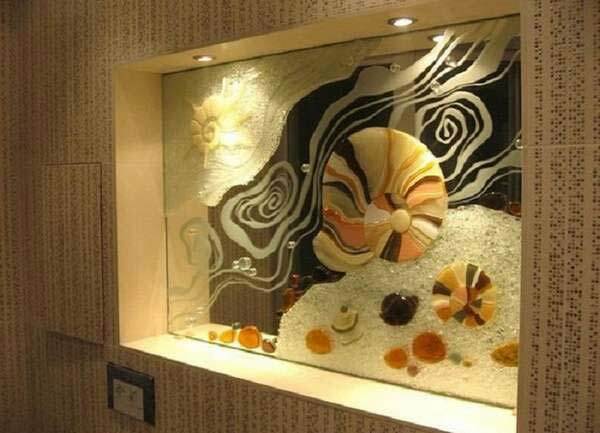 A new trend of our days is three-dimensional images, which are often present when decorating: 3d wallpaper, tiles, curtains. 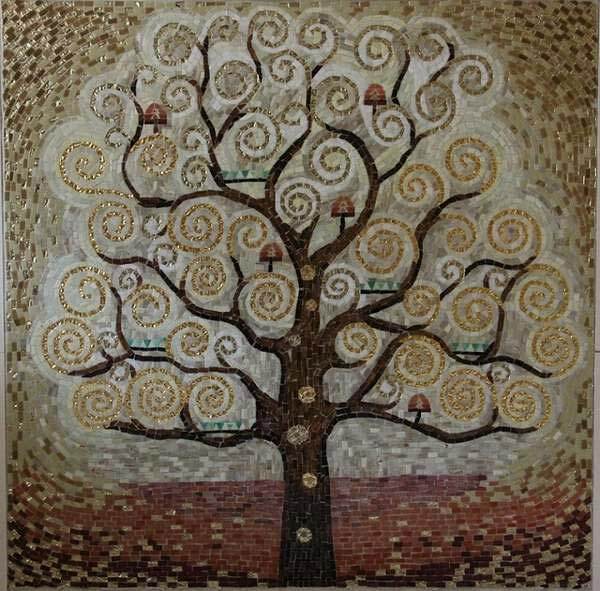 Their price, of course, is an order of magnitude higher than the materials familiar to us. 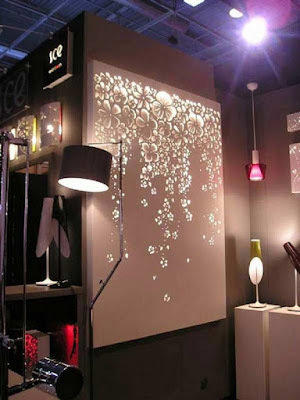 A more budget option would be the independent design of a 3d panel on the wall. 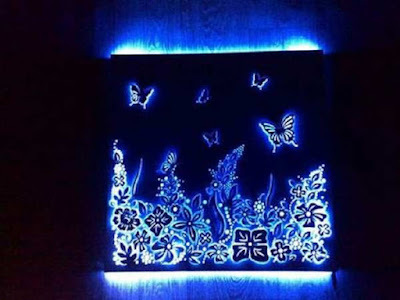 In the photo below you can see examples of such design: volumetric hours, soaring butterflies and a landscape painting made with plaster. 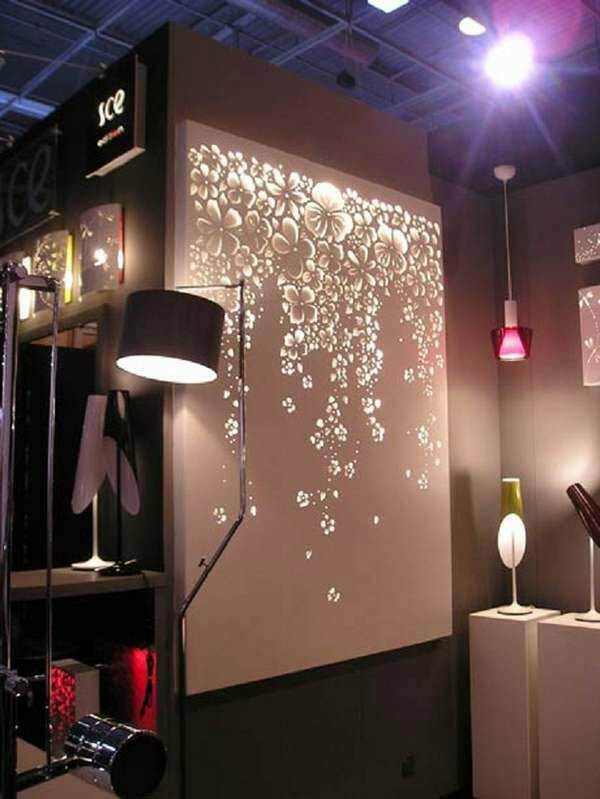 Beautifully look "soft" 3d panels on the wall and three-dimensional paper applications. 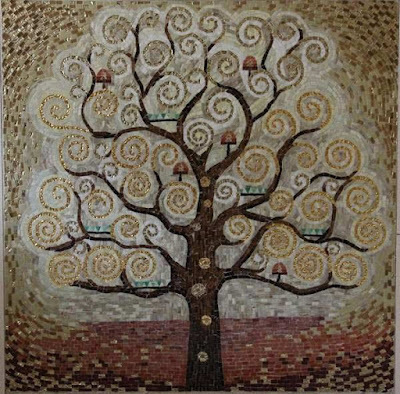 The first mention of the creation of mosaic paintings is known since ancient times. 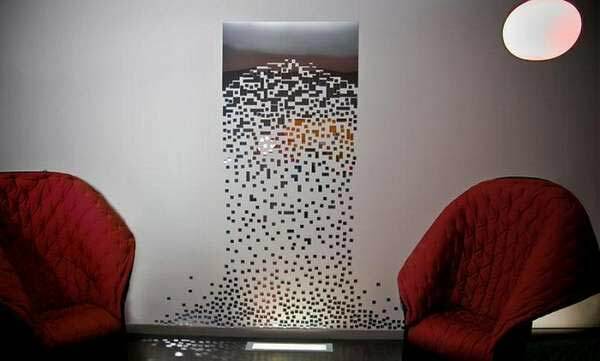 Now, this art is no less relevant. 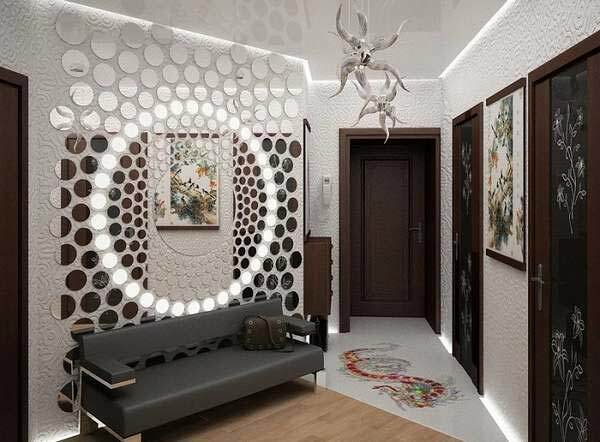 If you are interested in it, try, to begin with, to create a small mosaic panel on the wall yourself, and then you can proceed to more complex works, decorating the interior with large sumptuous drawings. The work is quite painstaking. Mosaic-art wall panels on the wall are laid on the skimmed cleaned surface with the help of a bonding primer. 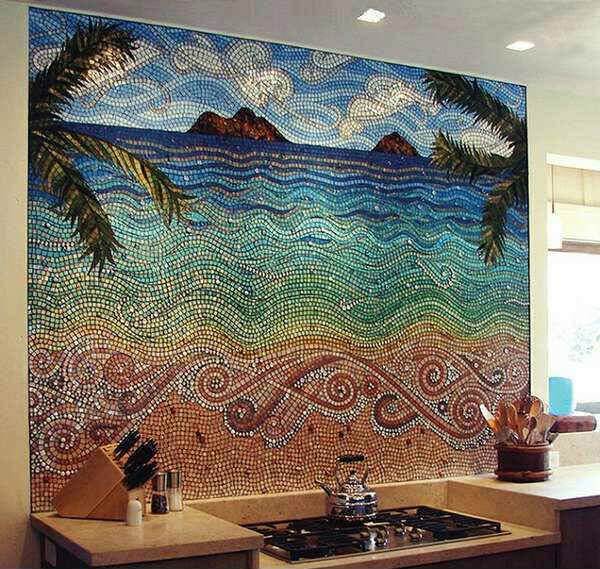 It is impossible to make small mosaic elements - they are sold by special sets, where everything is necessary. On your part, you need a painstaking, correct sequence of work. 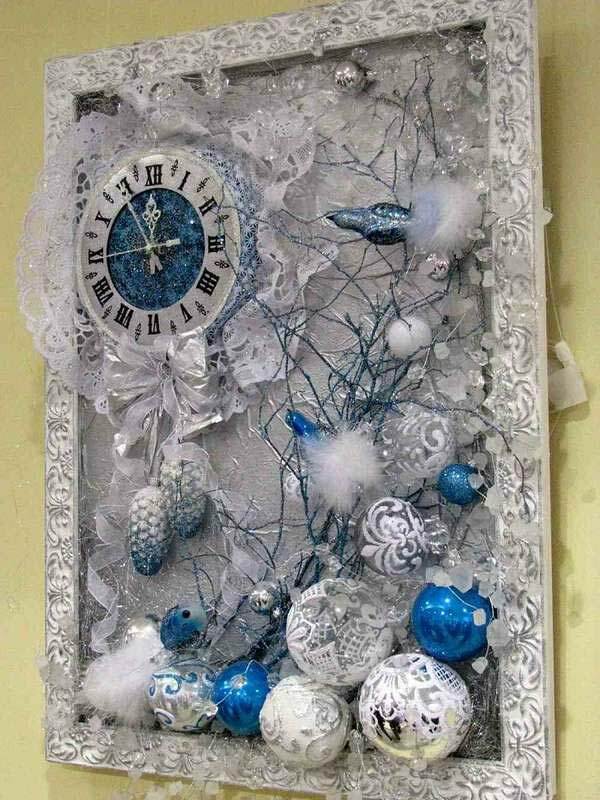 Making out the interior of the apartment for the New Year, in addition to the magnificent tree, it is worth embellishing the empty walls. 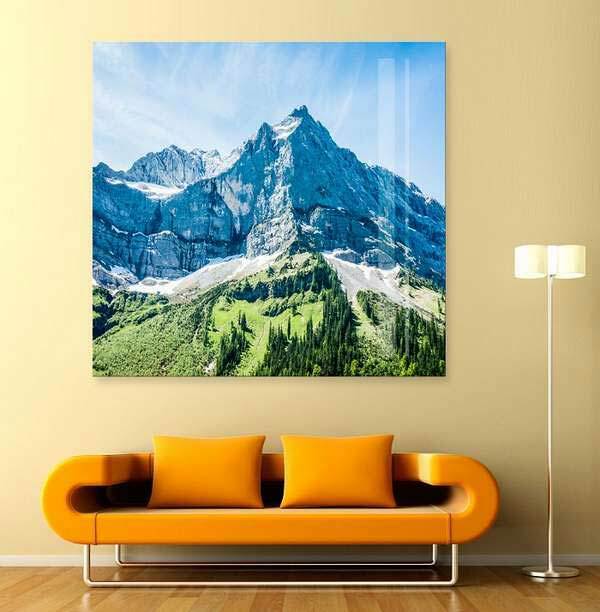 At the same time, the simplest everyday things are taken, creating voluminous compositions. New Year's art wall panels from improvised materials are often made in blue tones, and to emphasize the "winter" of the holiday, use artificial snow, cotton or polystyrene balls. When an apartment is decorated with strict observance of a certain style, the decor, by all means, must correspond to it. To create a stylish art wall panels, we offer you to familiarize yourself with the main criteria inherent in this or that direction. 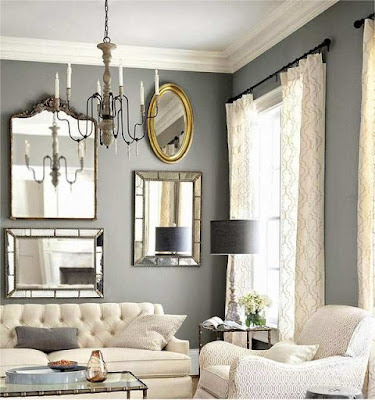 The classical direction presupposes a reflection of luxury in any element of the interior design. At the same time, there is aristocratic restraint. For example, a mirror on the wall. Modern technologies allow creating many effects on mirrors, including artificial "age-old" scrapes, which will give the canvas a particularly valuable look. 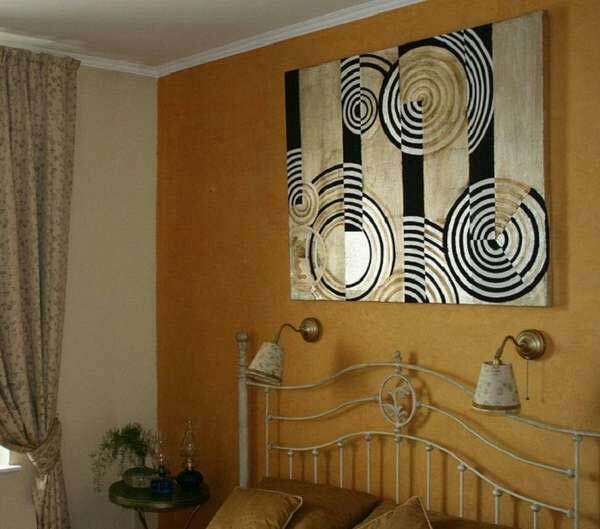 Frames of paintings, compositions are well designed from figured baguettes, with relief drawings. 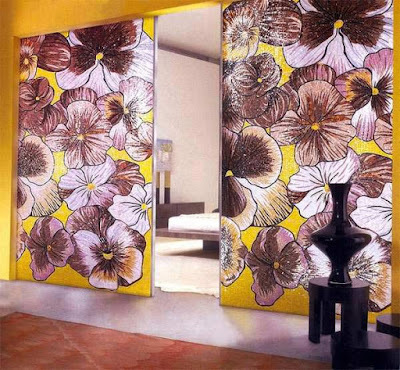 Originality, elegance, the coziness of the ancient French country life can supplement the art wall panels in the style of Provence. 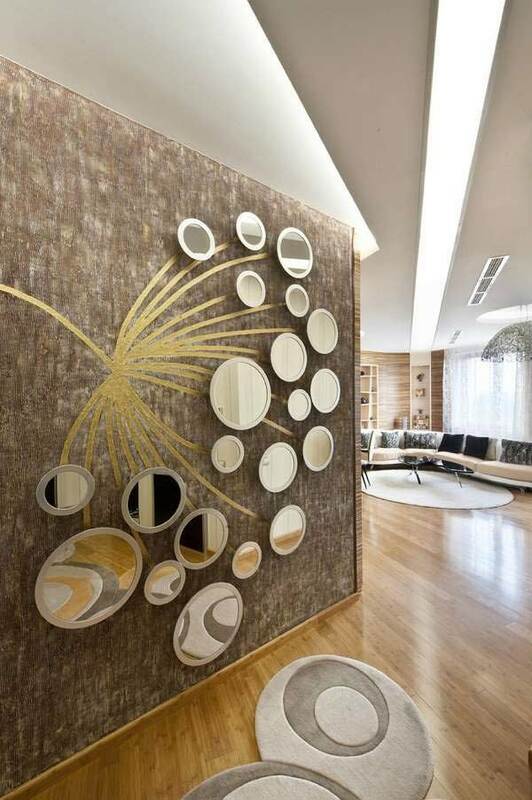 Dishware becomes a successful material. 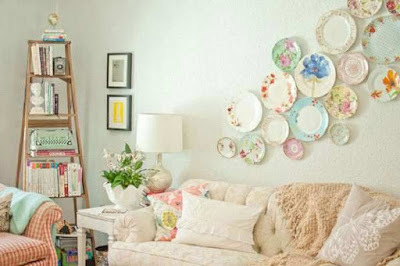 Look at the photo, where with the use of painted plates, created a luxurious composition. It is appropriate here, like faded in the sun, paints landscapes, combined with the ease of the French character, plant motifs, rough wood elements. 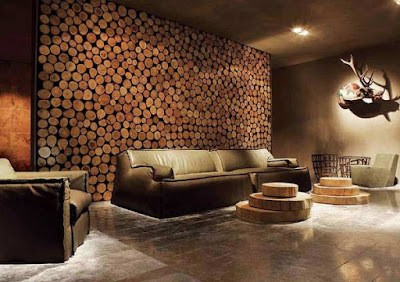 A decoration of the premises in the eco-direction involves the use of natural materials. Of course, wood occupies the first position here. A wooden art wall panels in eco-style can be "weaved" from branches, preserving their original appearance, using lacquer compositions or painting under the color of the interior. 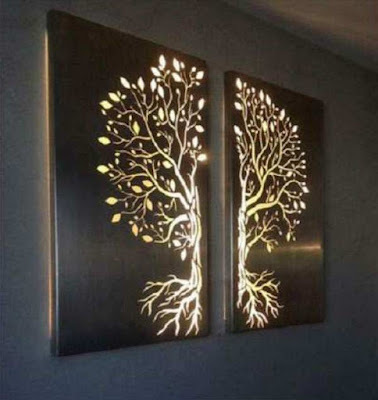 One of the options demonstrates a vertical art wall panels in the form of a branchy tree, obtained by sawing an array. The modern direction of art deco is refinement, the flexibility of lines, alternation of contrasting colors, geometric figures, multifaceted lighting. art wall panels can be decorated with glass, mirror surfaces, elegant compositions with additional lighting, as well as abstract canvases. 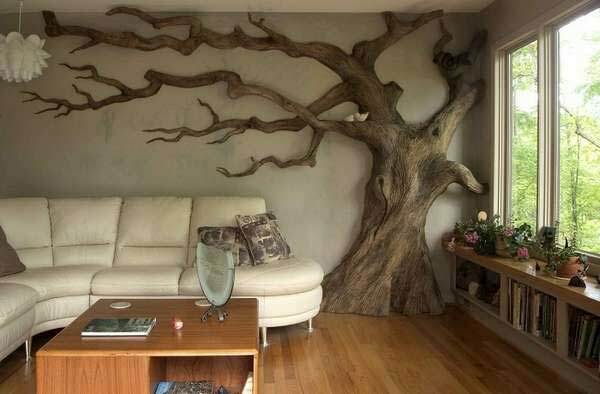 Modernity dictates its own rules. Popular trends of minimalism, high-tech offer us, in practice, completely refuse to decorate, but, in the conditions of an apartment, you still want to somehow diversify the vacant space. Modern art wall panels have a laconic appearance, but, nevertheless, are not devoid of originality. 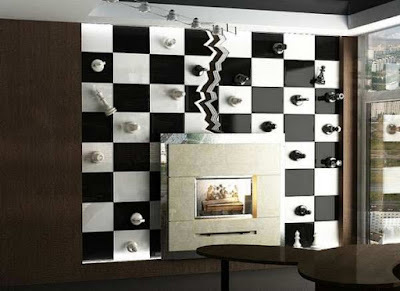 Look at least for the "high-tech" chessboard decorating the cabinet or an unusual mirror composition of minimalism.